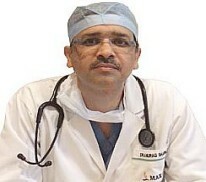 Dr. Anurag Sharma is a Cardiologist in Phase-VI, Mohali. Dr. Anurag Sharma practices at Max Super Speciality Hospital-Mohali in Phase-VI, Mohali. He completed MBBS from Medical College Patiala, MD - Internal Medicine from PGIMER,Chandigarh and DM - Cardiology from PGIMER,Chandigarh.